Lisa Lyons Johnstonis the President and Publisher of Canada’s leading children’s book publisher, Kids Can Press, part of the Corus Entertainment family. 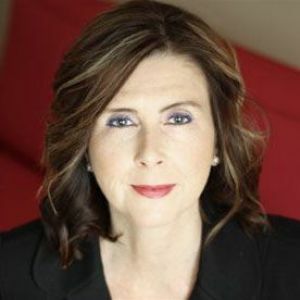 Since 2003, Lisa has held senior leadership positions at Corus, first joining the company’s television group as Vice President & General Manger of Content Distribution and of Max Trax Digital Music. At Kids Can Press, Lisa oversees all publishing operations and the stewardship of signature brands, including the acclaimed CitizenKid global issues collection—now 20 books strong, and celebrating its 10th Anniversary— and KCP Loft, a young adult imprint with crossover and page-to-screen appeal. Lisa has led the company’s diversification beyond traditional publishing into new revenue streams, from developing a robust ebook program to cultivating content partnerships with blue-chip brands, and working closely with her Corus colleagues and independent producers on the development of content from page to screen. In 2017, Kids Can Press was awarded the Bologna Prize for Best Publisher, North America. An active board member of Ontario Creates and the Emmy Noether Circle at the Perimeter Institute for Theoretical Physics, Lisa has been honored with a Leadership Award by Women in Communications and Technology, and in 2018 was recognized as a “Canada’s Most Powerful Women: WXN Top 100” award winner.